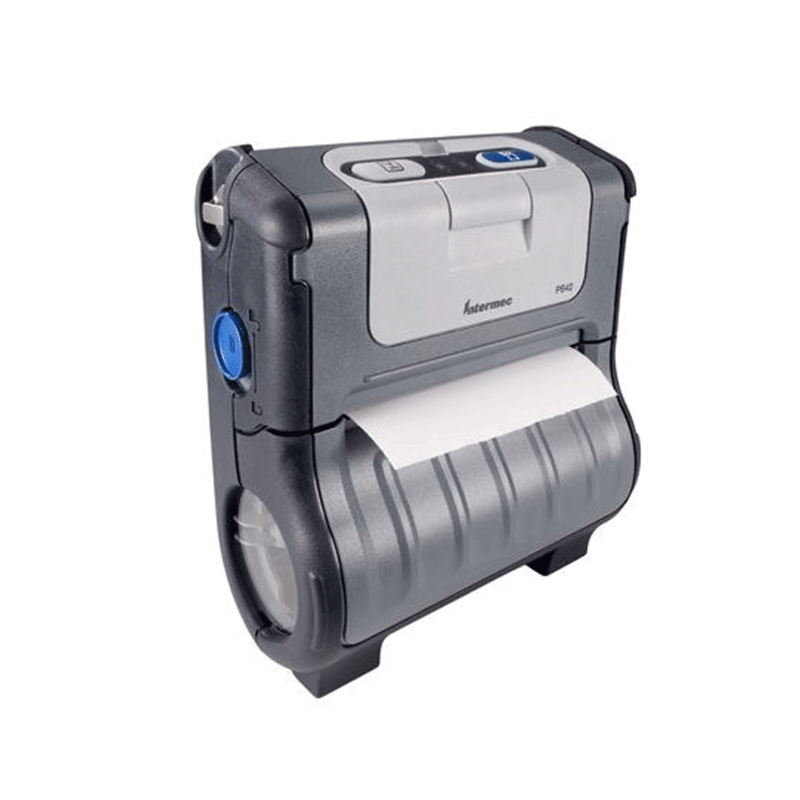 The unique Intermec design of the PB42 portable receipt printer ensures ease of use. This is very important for delivery drivers who negotiate routes with multiple stops and rugged conditions. Special design features include sharing of battery design with the CK60 mobile computer, simple receipt paper installation, high visibility buttons and indicators to show when the printer is within radio range or when the lithium ion batteries are getting low. West European Latin No. 1 and 9: Danish, Dutch, English, Faeroese, Finnish, French, German, Icelandic, Irish, Italian, Norweigian, Portuguese, Spanish, and Swedish. East European Latin No. 2: Albanian, Czech, English, German, Hungarian, Polish, Rumanian, Serbocroation, Slovak, and Slovene. Cyrillic: Bulgarian,Byelorussian, English, Macedonian, Russian, Serbocroation, and Ukrainian. Code Page requirements for Far East Log onto www.intermec.com for additional international fonts for the PB42 portable printer.